The Pharmaceutical Center for the community. Osotsala is a community pharmacy and laboratory operated by the Faculty of Pharmaceutical Sciences, Chulalongkorn University. 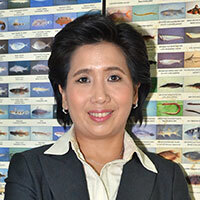 Opened since March 1986, it has been accredited by the Pharmacy Council of Thailand. For over 30 years, the center has not only served the medical needs for patients, but has also been the site for supervised practical application of previously studied theory for all levels of CU Pharmaceutical Sciences students. It also serves as a model community pharmacy and has been an important element of the National Health Coverage Program. Services provided at Osotsala are supervised by faculty members, who are registered pharmacists. For special cases, patient counseling and life style modification suggestions are also provided. The Center is conveniently located on Phayathai Road, opposite of MBK Shopping Center, and is open Monday – Saturday, from 8:00 a.m. – 7:00 p.m.